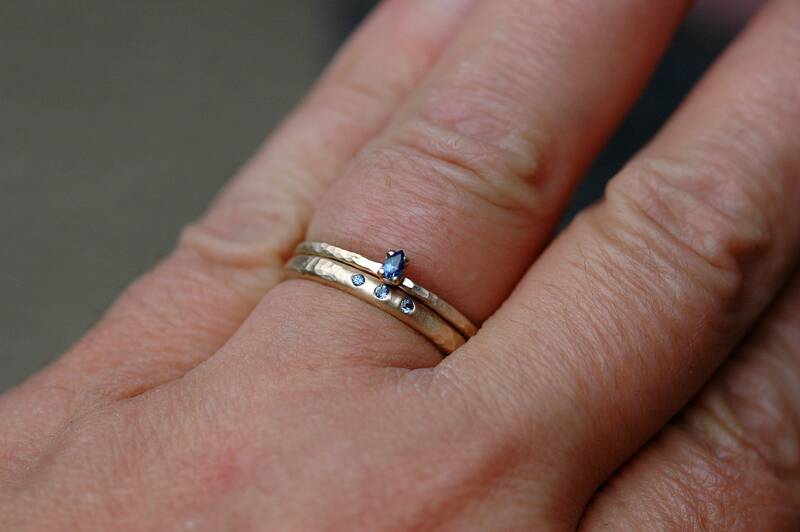 I can create a matching wedding band for this ring- the cost is $200 USD in 14k gold. 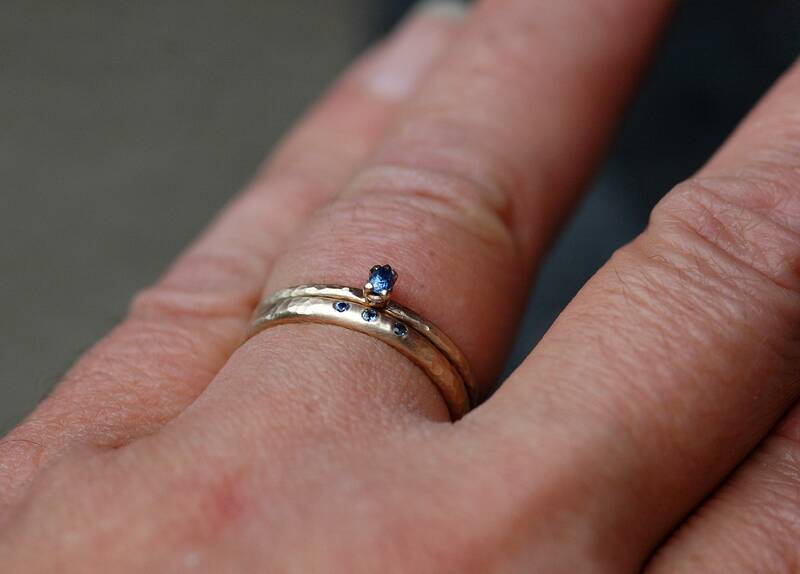 In the last two shots, the ring is shown paired with a custom wedding band in hammered 14k yellow gold, with a trio of flush set Yogo sapphires. 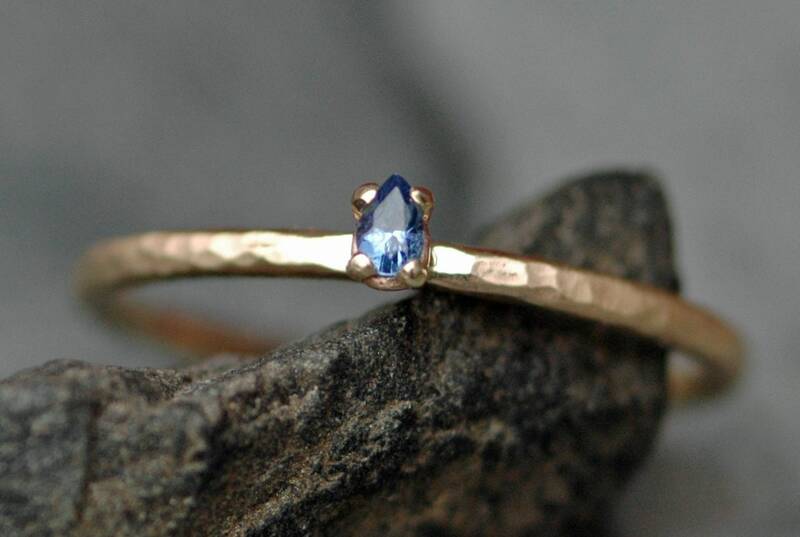 This ring is not included in the listing. 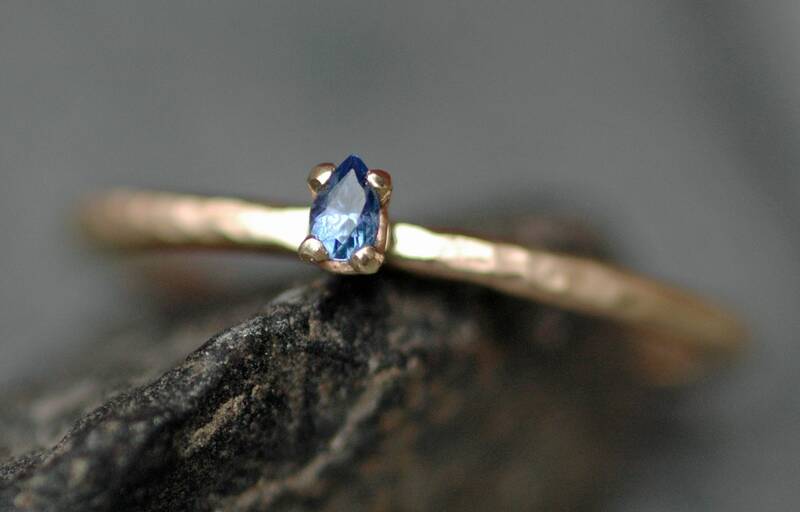 I have built this ring around a beautiful, artisan cut sapphire teardrop. 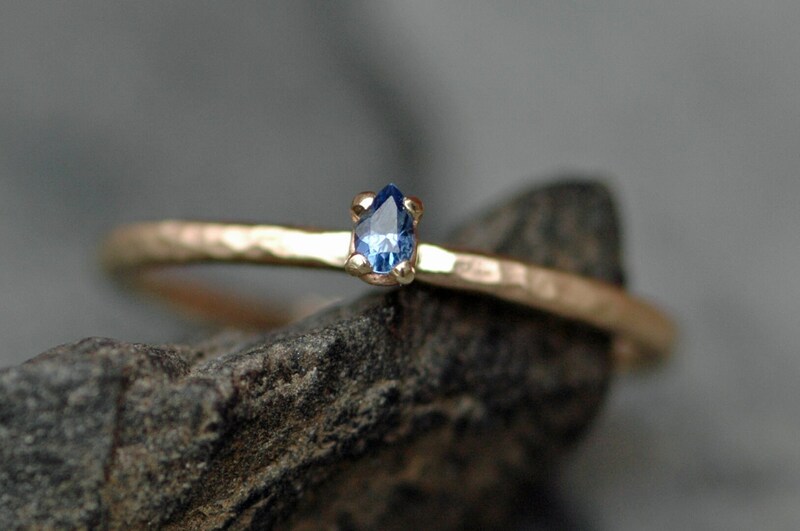 The sapphire was mined in the Yogo Gulch, Montana. 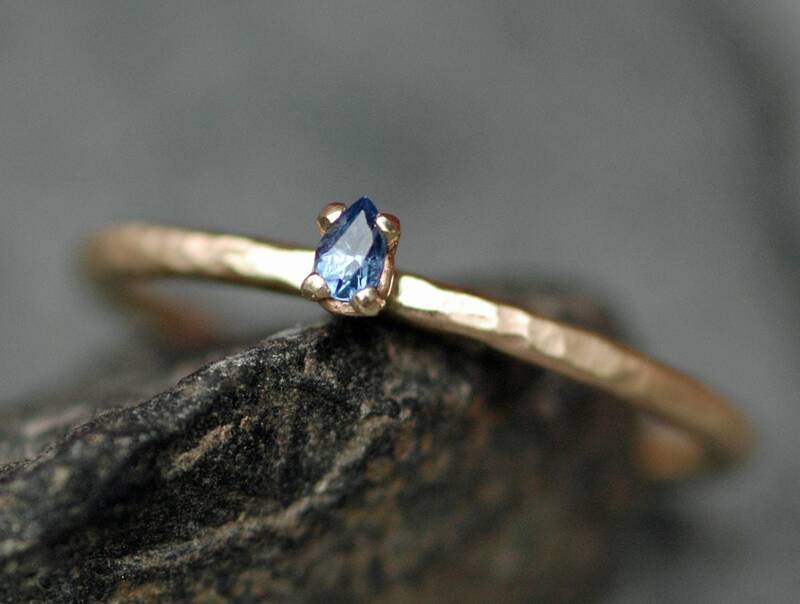 This gulch is the only mine on earth where these gorgeous sapphires are found. They are prized for their lovely shades of cornflower blue. 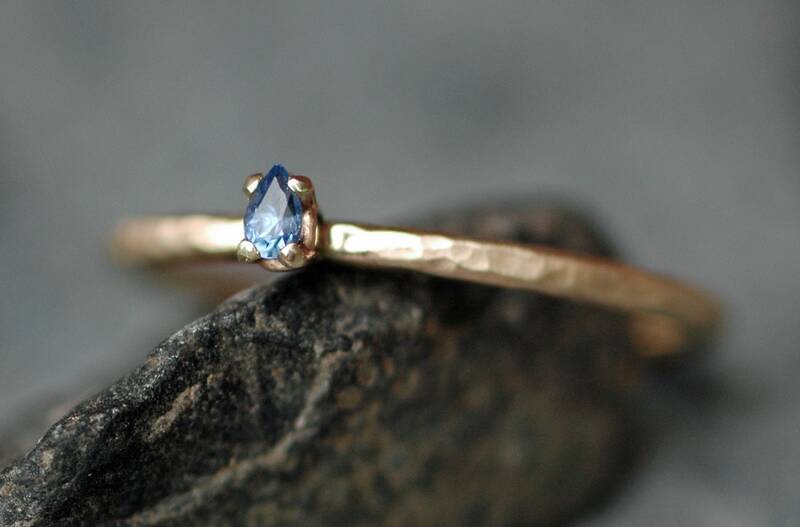 Unlike the vast majority of sapphires, Yogos are not heat treated to bring out their colour- these blues are the tones they form in. 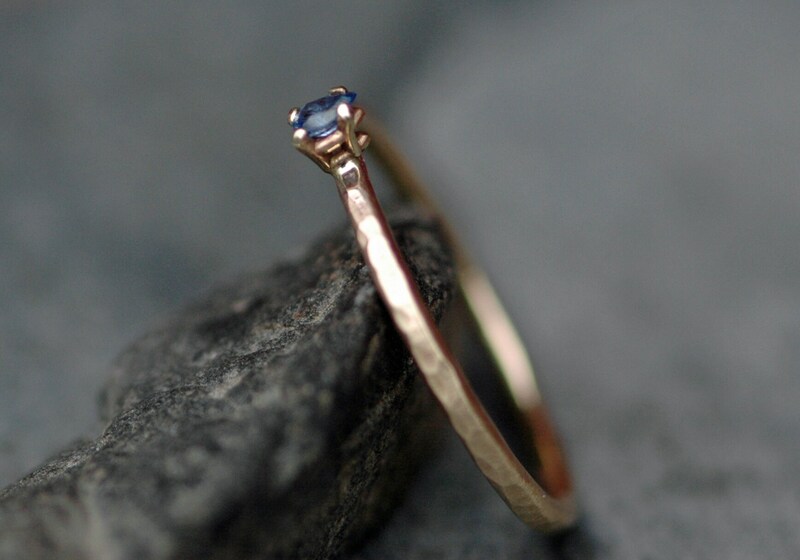 The band on the ring seen here is a 1.5mm wide round-profile, and is 14k rose gold. It has been given a shimmery brushed hammered finish. 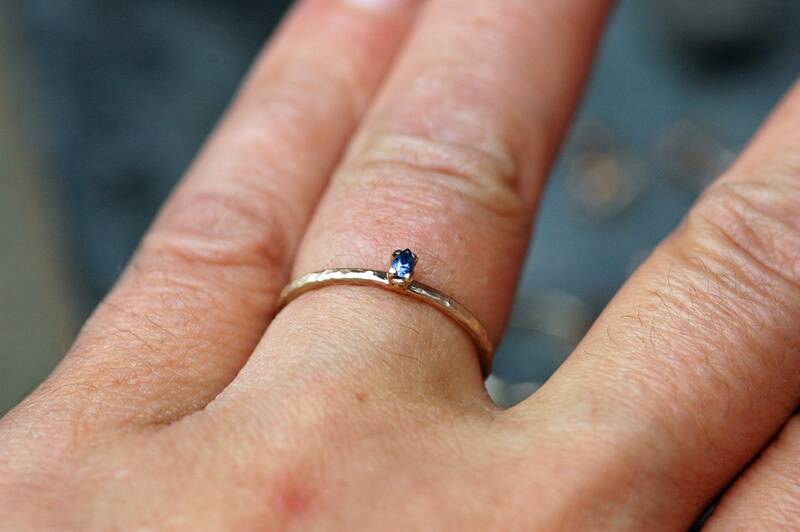 The sapphire is set in a four prong setting. 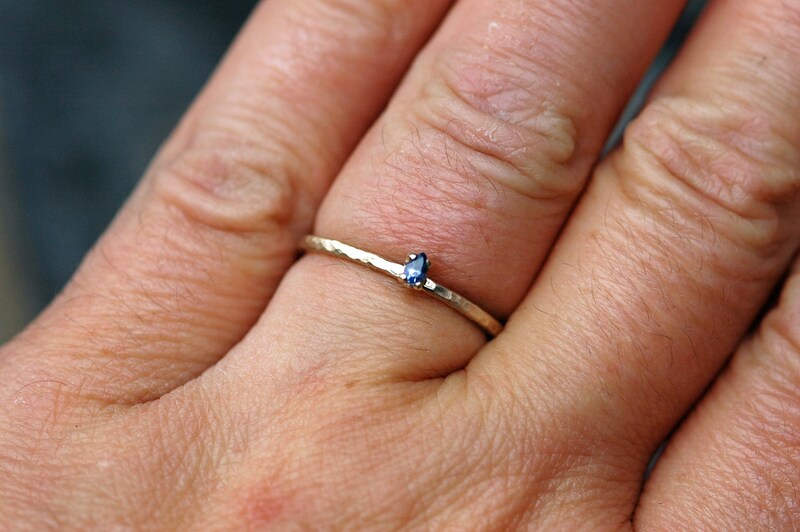 I have a few more of these sapphires in stock- get in touch for the custom ring of your dreams.